Beth Anne Powers focuses her practice on intellectual property litigation including trademark, copyright and patent disputes, as well as trademark and copyright prosecution. She is experienced in all phases of intellectual property litigation including pre-filing due diligence, discovery, and motion practice. Prior to joining the firm, Ms. Powers worked as a judicial clerk in both federal court and state court. In the U.S. District Court, Eastern District of Pennsylvania, Ms. Powers clerked for Magistrate Lynne A. Sitarski, where her responsibilities included conducting legal research and drafting memos related to a wide variety of legal areas including: employment discrimination, IDEA actions, civil rights and intellectual property matters. Ms. Powers also drafted Reports and Recommendations for approval and submission to the referring District Judge regarding social security disability appeals, habeas corpus petitions and discovery disputes. In the Delaware County Court of Common Pleas of Pennsylvania, Ms. Powers clerked for the Honorable James F. Nilon in the family law division, where her responsibilities included drafting orders, opinions and memos on such legal issues as prenuptial agreements, custody issues, jurisdiction, marital assets and domestic relations powers. After graduating law school, Ms. 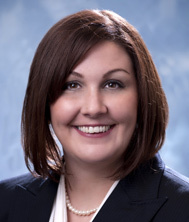 Powers also worked as a junior associate for Falzone Law Offices where she worked on insurance law matters, elder estate planning and probate issues. Ms. Powers served as Editor of the Delaware County Legal Journal from 2006-2007. As the Editor, her responsibilities included opinion selection from those submitted by the Delaware County Bench for publication and suggesting revisions before publications when needed. Prior to graduation, Mrs. Powers served as a Board Member of the Widener Law Review. Her commentary focused on the rejection by the Supreme Court of the "treating physician rule" in ERISA cases. Mrs. Powers is licensed to practice law in both Pennsylvania and New Jersey.